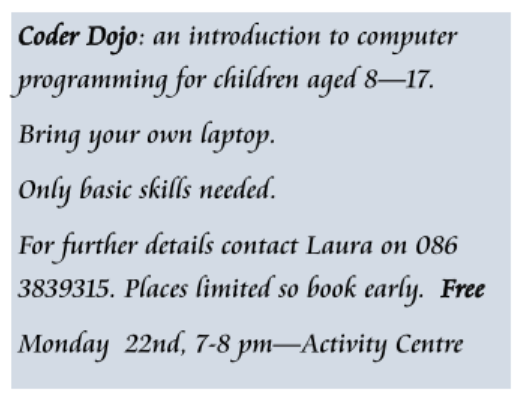 Kilrush – Monday 25th March @ 7.30pm. Over 70 brave souls attended mass celebrated by Fr. Joe Power on the side of Sliabh Bhuí this afternoon. As the mist shrouded the mountain, people in raingear walked and drove to the venue. 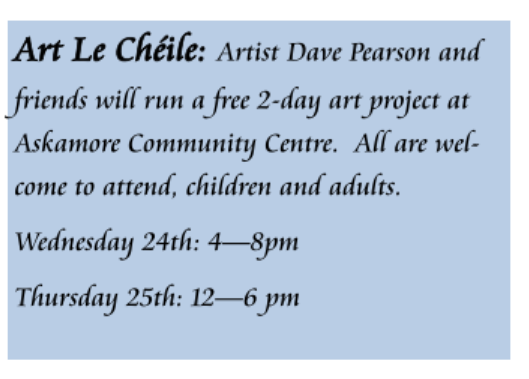 Tonight sees the start of Askamore Féile le Chéile proper, with the Madcaps performing in Askamore Community Centre at 8.30pm, followed by a Trad Session with Jack Kilbride and friends in the School House Bar. 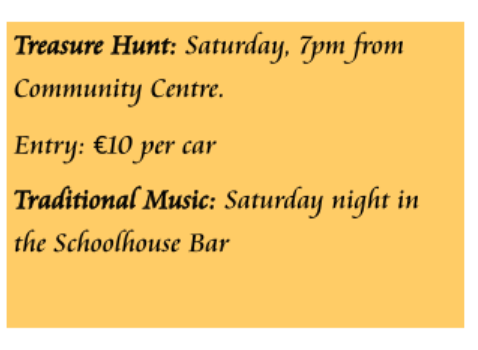 Tomorrow, the annual Car Treasure Hunt will start from the Community Centre at 7.15 pm. Results and prizes will be announced later in the Centre. Sunday at 5pm is our mass on Sliabh Bhuí. A guided walk will leave the carpark at 3.15 pm to make their way to the mass site, or it is possible this year to drive to the site and park there. Entry to the site for drivers is the entrance near Noel Bergin’s. Follow the signs. 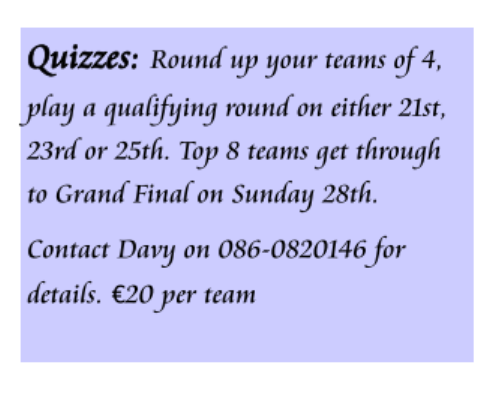 Sunday night 9.30 pm is the Grand Final of the Brains of Askamore Table Quiz. Come out and support your local festival.